Aug. 26, 2016 — San Diego, CA Obesity and diabetes are big business for Big Pharma, and the global market for these epidemic-level diseases is expected to more than double by 2022, The Pharma Letter reported Thursday. A report by business intelligence firm GBI Research found the global market for both obesity and diabetes is expected to rise from $70.8 billion in 2015 to $163.2 billion by 2022, The Pharma Letter indicated. The increase in the number of type II diabetes cases is the major fuel behind this growth. Big Pharma can cash in on this disease epidemic by pushing a number of type II diabetes medications through the pharmaceutical pipeline. GBI Research estimates some of these new drugs will reach blockbuster status, meaning they will bring in over $1 billion in revenue for their manufacturers annually. The type II diabetes drug Invokana is already a dominant player in this disease cluster. The Pharma Letter reported the drug was expected to reach $3.23 billion by 2022 and was set to be approved to treat type I diabetes in addition to type II. Invokana is marketed in the U.S. by Johnson & Johnson’s pharmaceuticals unit Janssen. It was approved by the Food and Drug Administration in 2013. Since its approval merely three years ago, the drug has come under scrutiny for its apparent side effects. Invokana has been linked to an increased risk for diabetic ketoacidosis, a serious complication of diabetes that is usually associated with type I. Diabetic ketoacidosis occurs when the body does not have enough insulin and starts to break down fat for fuel. This causes a buildup of acids in the bloodstream, leading to diabetic ketoacidosis. If left untreated, the condition can be deadly. In 2015, the FDA issued safety communications about the risk of diabetic ketoacidosis when taking Invokana. 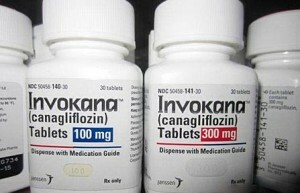 The agency said it investigated more than 70 reports of the life-threatening condition, nearly two-thirds of which were related to Invokana. All of the patients had to be hospitalized or treated in the emergency room and the agency required Janssen update the drug’s label to reflect the potential risk. This is not the first safety communication the FDA has issued because of increased adverse health risks related to Invokana. Also in 2015, the agency issued warnings about the increased risks for genital infections and bone fractures when taking the drug. Despite these possible health risks, Invokana reached blockbuster status in 2015 with sales of about $1.3 billion, and it is projected to continue that amazing growth, according to the GBI Research report. Lawsuits are being filed against J&J and Janssen Pharmaceuticals by patients who said they were harmed by the companies’ type II diabetes drug. If you or someone you love developed diabetic ketoacidosis after taking Invokana, you may be entitled to financial compensation. 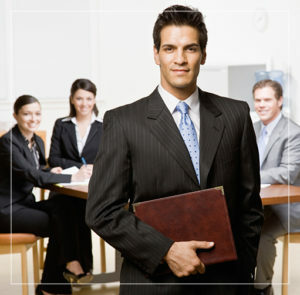 The experienced Invokana attorney’s at Hood National Law Group can help you determine if you have a case. Call anytime for a free case evaluation or use the form on the right-hand side of your screen.